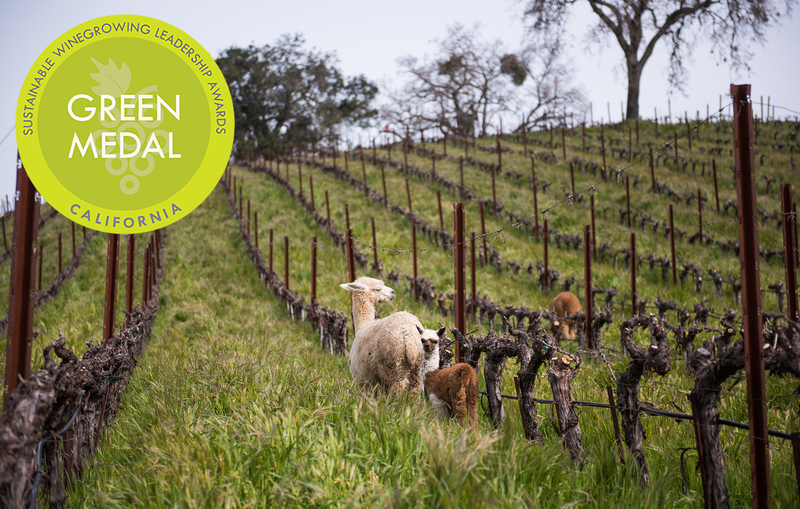 The California Sustainable Winegrowing Alliance awarded Tablas Creek one of four 2016 Green Medals: the California wine community's highest honor for sustainability. Wineries are evaluated for their innovative approaches to water use, soil and nutrition, pest management, biodiversity and wildlife conservation, energy efficiency, community involvement, and more. For details on our sustainability efforts, as well as the video produced by the CSWA for our award, see Jason Haas's piece on the Tablas Creek blog.